Feel like you're at a crossroads in your life? or Not sure which way to turn? Experiencing major and unexpected life changes? Ready to move from Surviving to Thriving in your life? 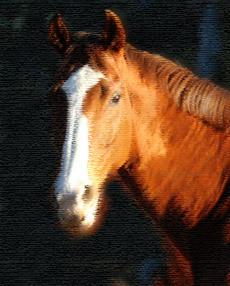 Explore healing potential of the horse-human bond. 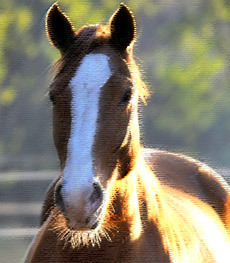 Give horses the opportunity to help you to reach a greater state of physical, emotional and spiritual balance. Discover your unique gifts & hone your powers of adaptability and innovation. We offer equine-inspired insights on relationship, non-verbal communication, leadership, creativity, power, authenticity & balance. Explore and practice new ways of thinking, being, perceiving, leading, and relating to others. Whether you’re interested in horses or human development—or both—the Epona Approach™ allows you to experience what it means to truly thrive in life. Begin living your life purpose NOW! Our experiential approach to life skills training offers possibilities for individuals, teenagers, families, couples, managers, corporate teams and groups. "Our deepest fear is not that we are inadequate. Our deepest fear is that we are powerful beyond measure. It is our light, not our darkness, that frightens us. We ask ourselves, "Who am I to be brilliant, gorgeous, talented, and fabulous?" Actually, who are you not to be? Your playing small doesn't serve the world. There is nothing enlightened about shrinking so that other people won't feel insecure around you. You were born to make great that which is born within each of us. It is not just in some of us, it is in all of us. As we let our own light shine, we unconsciously give others permission to do the same. As we are liberated from our fears, our presence automatically liberates others." Written by Marianne Williamson. NO PREVIOUS HORSE EXPERIENCE NECESSARY!! !